Wireframes are dead! Interactive prototypes are everything! We’ve heard these shouts for at least the past 7 years. If the popularity of these discussions prove anything, it’s that the opposite is true. The mere fact that we continue to discuss the alleged death of wireframing proves that wireframing is doing fine and continues to exist as part of design processes that fit, at least, some projects and some designers. How has wireframing survived? It continues to evolve. Wireframing might be a static asset, but it’s definitely not a static technique. Long gone are the days of black on white wires built in Microsoft Visio or Excel Spreadsheets (yes, I worked with PMs who used to place wireframes in spreadsheets). Today’s wireframing has been split into multiple techniques that serve different purposes, projects or preferences of designers. Some designers like to gather early feedback with light weight interactive wireframes. Interactive wireframes are design deliverables that represent the high level architecture and the most basic interactivity. Created in the span of hours instead of days, they help with user testing and getting early buy-in from stakeholders. 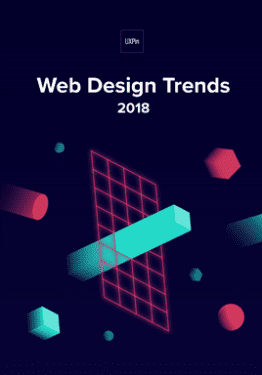 Interactive wireframes might be destroyed soon after their birth, or evolve into a completely different asset, but that’s part of the overall concept. Wireframes are supposed to be short lived sketches. After their job is done they should be destroyed without a sign of a remorse. Another version of a good old wireframe is a content wireframe. This static form serves as a structure used to plan content and information architecture before investing time and money into the rest of the interface design. This technique works great for content-heavy websites, which need a careful content strategy, before we, designers, get all creative with its form and beautiful looks. After all, content is king. And finally, wireframes evolved into a form of even a lower fidelity. 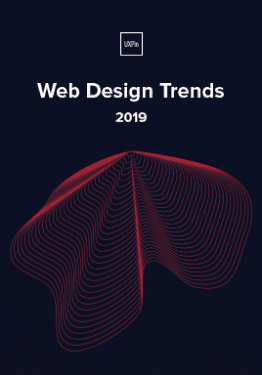 A form in which the format of a wireframe gets minimized, text is replaced by geometric shapes and every piece of the interface is simplified as much as its only possible. And that’s my favorite new form of wireframing. Microframes are minified wireframes on steroids. Speed. Microframes are as fast as sketching, but let you easily iterate on your work and immediately share the results with anybody, despite the location. Clarity. 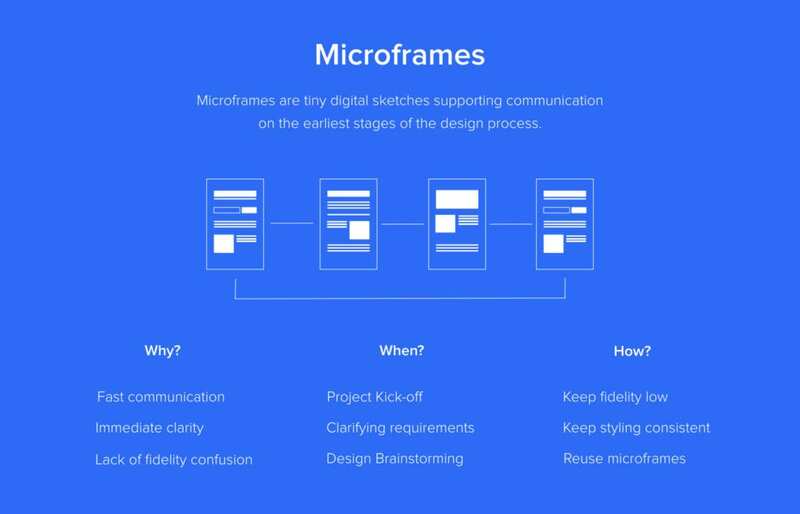 Microframes clearly communicate plans and requirements and let designers iterate together with a customer towards the common vision, without overinvesting in disposable assets. Lack of the fidelity confusion. Microframes cannot be confused with the final product, because their form is drastically minimized. Microframes are also extremely flexible and can be used on their own, as part of a user journey chart, documentation or even as part of a project roadmap. They serve as a cheap illustration and a tool to enhance design thinking. Don’t use any text. Replace text by blocks symbolizing different level of typographic hierarchy. Use different colors (shades of gray prefered) to symbolize logical pieces of the interface. For example – separate CTAs, navigation links and blocks of text by assigning them different, yet consistent, background colors. Use icons to symbolize elements that can be easily confused with others. For example use image icon (classic landscape icon) to show where are you thinking about placing an image. Skip details. You’ll have plenty of time to add them later once the concept is crystallized for higher levels of fidelity. Once your basic drawings are ready, think what needs to be added to enhance their communication value. Text description? Flows? There are no rules here. Whatever serves the purpose is good. To optimize your microframing process for speed and reusability you have to create your micro design language. Think about a convention that works for you and recipients of your work. Document it. Just like with a full-size design, you should start with the foundation and gradually move to higher level structures (if you’re interested in building a full scale design system – I’m sharing my experience in this series of posts). Take all your text blocks and tiny patterns and turn them into symbols, nest them in your microframes and turn them into symbols as well. Wireframing won’t die as long as we need ways to quickly create and share digital sketches. Creating micro wireframes only enhances the communication and creativity of the team without sacrificing the speed of the process. We’ve recently really fallen in love with this little deliverable at UXPin. Just this week, it’s helped our Mountain View team to communicate concepts for a new landing page with our Polish team. Hopefully you’ll find it useful too! 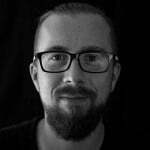 Marcin Treder is the CEO and co-founder of UXPin, a product design platform. Since co-founding UXPin in 2010, he has helped build and lead product teams in the Poland and Silicon Valley offices. Previously, he worked on projects for two companies that IPOed and managed the design team for one of the biggest eCommerce companies in Eastern Europe. He holds an M.A. in Cognitive Psychology. Marcin has been given numerous awards, including MIT 30 under 35 for his accomplishments in design and business.